Piloting the glider requires no special skills. The instrumentation is reduced to a minimum, as well as controls, in order to give the pilot the pleasure of free flight. making the game very immersive and providing the player with the impression of a fantastic yet very realistic landscape. Each session of the game can be fully recorded, so the player can quickly review his performances and share them with friends. 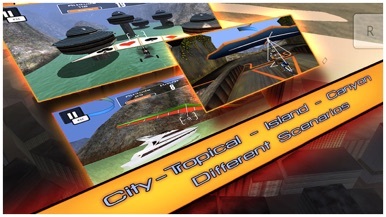 During the replay of the session the player can choose to view the scene from different types of cameras. Reviewing the flight sessions with friends or on your TV can be a unique and exciting experience. 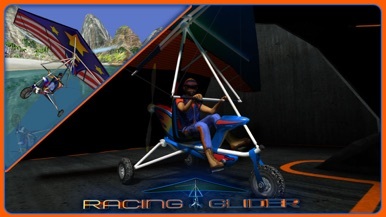 Racing Glider HD includes three types of gameplay. The race against time, the shooting of balloons and shooting at a target. while in the other two cases, the gameplay is more centered on exploration of the territory providing a feeling of relaxation. 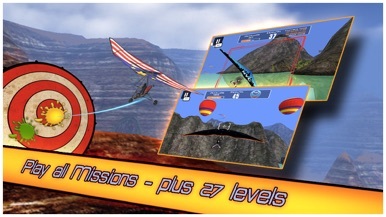 The game as a whole combines three different territories with three types of gameplay for a total of 27 levels of increasing difficulty. furthermore the physics of the simulator is very realistic and can influence the performance of the aircraft. Landing with the hang glider in the middle of a storm is not an easy task. -Three types of gameplay with race and exploration. 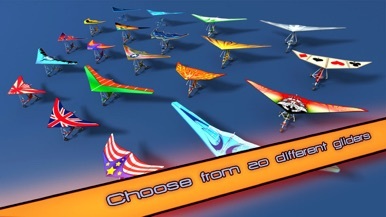 -Up to 27 different levels with increasing level of difficulty. -Variability of the weather conditions. -Record and replay of the game session using several cameras. 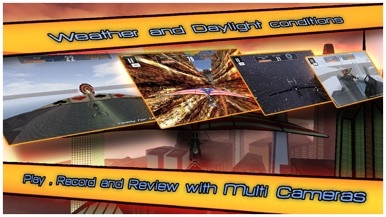 -Immersive and detailed flight scenarios. -Accuracy of the physics of flight. With Dena Bank application for iPhone, easily get the latest information about our products and services. You can also find your closest Dena Bank ATM and Dena Bank Branch.